As a sequel to our recent exhaustive survey of Kentucky sires for 2019, it seems only fair to cast the net wider and seek some value in the regional market. In doing so, however, we exchange one problem of scale for another: the sheer volume of stallions concentrated in the Bluegrass creates a far more coherent marketplace than the one fragmented from one coast to the other. There is, of course, a degree of traffic between the two. Stallions who fail to find a sustainable niche in Kentucky often migrate to pastures new in state programs. Exceptionally, there will even be young stallions who make a sufficient impact in Florida or Maryland to move the other way, as did Kantharos and Malibu Moon. Yet there is little point comparing the fees of regional stalwarts with those commanded even by ordinary Kentucky stallions. Written into their respective values are the practical limitations of mare populations, shipping costs and so on. In states with incentive programs nourished by gaming revenues, it may be worth transporting a mare for a Kentucky cover before returning to foal, say, in New York. Generally speaking, however, local sires will maximise your eligibility for restricted prizes. Because even within the deeper pools, we’re just dipping a subjective line or two to hook some value. So no point recommending Uncaptured (Lion Heart) in Florida, with his book already full; nor highlighting that Central Banker (Speightstown) made a bright start, when he stands for the same money as New York’s multiple champion sire Freud (Storm Cat). Value is always in the eye of the beholder, and will vary wildly between end-users and commercial breeders. 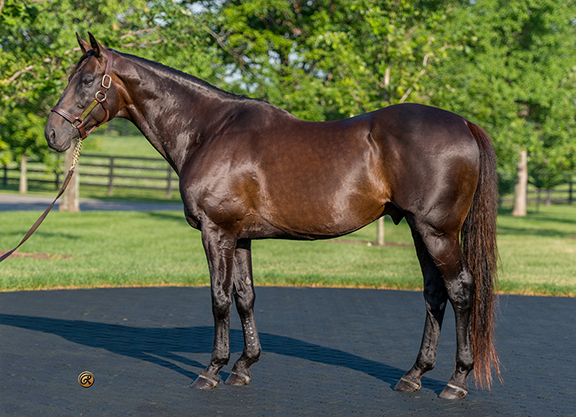 Courageous Cat (Storm Cat), to take one lurid example, is plainly “value” slashed to $2,500 from $6,000 for 2019 by Questroyal North in New York: he’s an awful lot of horse for that fee, as a Grade I winner with a world-class pedigree, and entitled to get you any kind of runner for the equivalent of a few dozen bales of hay. But very small books in the last couple of years will give him limited opportunity to build commercial momentum on the four black-type winners who kept him in the top six New York sires in 2018. So it depends what you’re after. Each to their own. Wait, we’ll come to Grazen in a minute. But were there seriously only ten mares left for Ministers Wild Cat in 2018? A top ten Californian sire every year since 2012, he is one of the last available sons of the great Deputy Minster out of a Breeders’ Cup Distaff winner. He obviously didn’t show the same track ability as his half-brother War Chant (Danzig) but his 18 stakes winners have come at a perfectly respectable percentage for a horse standing at $4,000. And, just a hunch, but I’d bet that with that pedigree someday one of his daughters will foal a champion. Conversely, breeders have been slowly waking up to his younger studmate Grazen (Benchmark), who has only sired 88 named foals across six crops but has produced such striking dividends that he has entertained 101 and 68 mares over the past two years. Of just 62 starters, his 51 winners have included no fewer than seven at black-type level. These include Grade III winner Enola Gray, who also has a Grade I podium to her name. Grazen was a fast horse, who wired a Grade III field for a 103 Beyer, and if there is little immediate distinction in his family then there is no denying his own sire’s oomph. Benchmark, a son of Alydar, was also responsible for GI Santa Anita Derby winner Brother Derek and those blitzing Grade I winners Points Offthebench and Idiot Proof. Wherever it’s coming from, Grazen is earning his stripes and the foals conceived this year will be able to ride any success achieved by a book that more than trebled in 2017. Giants beware: this David’s sling is now loaded. This guy has come a long way since his discovery as a yearling at the Washington Thoroughbred Breeders’ Association Sale, or indeed since throwing his jockey three times before his debut in a four-furlong maiden at Golden Gate Fields. He won by daylight that day, promptly added a stakes before sharing the podium with champion Lookin At Lucky (Smart Strike) at both Grade II and Grade I level. With maturity he won three Grade I sprints–the Bing Crosby S., Ancient Title S. and Triple Bend H.; also beaten a nose in the Malibu S.–and twice made the frame in the Breeders’ Cup Sprint, besides winning four other graded stakes. He also landed running at stud, as California’s leading first-crop sire in 2017, and last year his 32 winners included five at black-type level–a tally surpassed nationally, in his intake, only by the stellar Violence (Medaglia d’Oro). These were crowned, in the final days of the year, by a breakout Grade I winner in Spiced Perfection, who turned herself from a $6,500 yearling into a La Brea S. winner. Smiling Tiger’s dam Shandra Smiles (Cahill Road) produced another Grade I winner by a son of Storm Cat in She’s A Tiger (Tale Of The Cat), winner of the Del Mar Debutante and Eclipse champion despite her demotion in the Breeders’ Cup Juvenile Fillies; and it’s a bottom line loaded with Florida speed, the second dam being by Ta Wee’s son Great Above (broodmare sire of Housebuster). So there’s both class and dash on the page; while Smiling Tiger was as terrifically sound and hardy as he was fast. All in all, the kind of commercial package many a Kentucky farm would be proud to offer. This is plainly a roll of the dice–but one that looks warranted at the odds. Because, unlike most regional rookies, you really couldn’t say where he might end up if only he can get started. A $680,000 sale-record OBS June breezer, he won his only start at Santa Anita in a hand-ride for a 99 Beyer, and Baffert has openly billed him as a freak. Unfortunately the horse was then derailed by a stalls accident. We all know that there are 49 duds for every Maclean’s Music (Distorted Humor), but what makes Valiant Minister at least look a valid experiment is his pedigree. He’s out of a Deputy Minister mare, which gives him an automatic credit, and is a full brother to Grade I-placed Moe Candy; while the second dam is Grade I winner Lunar Spook. He’s a strapping lad, by an emerging sire of sires, and 78 mares in his debut book last year will give him a very secure toehold to show what he can do. You couldn’t be at all surprised if he came up with a six-figure breezer or two. And, with so little downside, you’re entitled to those Maclean’s Music daydreams. With the farm reporting Uncaptured full–and he certainly launched himself into the slipstream of another son of Lion Heart in Kantharos, since uprooted for Kentucky, with eight winners from 29 starters including three at black-type level–then how about rewarding this guy for his Grade I knockout with Cigar Mile winner Patternrecognition? It’s not as though Adios Charlie can’t do quantity as well, his 62% winners-to-starters in 2018 (67 of 108) outstanding among meaningful members of an intake headed by a rather more expensive son of the same sire in Uncle Mo (himself setting a 49% clip). Besides Patternrecognition (a $420,000 OBS April 2yo in 2015 who also won the GII Kelso H.), Adios Charlie had four other stakes winners last year and is plainly parlaying pedigree and performance into results despite a very modest fee: he is out of a sister to a dual Grade I winner (on turf, definitely an angle for breeders) and himself showed authentic calibre in a light career, winning the GII Jerome S decisively from good horses (namely Preakness third Astrology (A.P.Indy) and Grade I sprinter Justin Phillip (First Samurai)). Definitely time to say hello to Adios Charlie. At the same farm and fee, incidentally, Prospective (Malibu Moon) has made a good start. With a second crop entering the fray in 2018, he came up with 34 winners from 51 runners including three at black-type level. Perhaps the best pedigree in the state and he has quietly made it tell, mustering black-type winners through his first four crops at a superior career clip to any of its other leading stallions. There were five more in 2018, surpassed only by Florida’s leading sire First Dude (Stephen Got Even)–who had a much larger running population and stands at over twice the fee. Gone Astray was a dual Grade II winner, in the Pennsylvania and Ohio Derbys, showing enough ability to qualify him as a legitimate conduit for a Phipps family that features numerous still more accomplished animals: he’s out of a Mr P half-sister to champion filly Smuggler, out of Hall of Famer Inside Information. He has the imposing physique to match and it would have made a big difference to his profile had his second-crop son Pretty Boy Flash managed to bridge that neck and nose to Practical Joke (Into Mischief) in the GI Hopeful S. As it is, his books have since held steady in the 70s and his pedigree and build together suggest that his stock could consolidate with maturity. Gone Astray could still hit the bull’s eye. 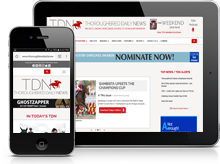 As a straw in the wind, a filly as zippy as Cookie Dough–who won a couple of Florida stakes by an aggregate 13 lengths before her late defection from the Breeders’ Cup Juvenile Fillies–is perhaps worth catching. She is from the second crop of a well-related young stallion who in 2018 had 30 winners and as many as eight black-type performers from 65 starters. Another of his three stakes winners, Old Time Revival, was second in the GIII Gotham S.
Well related? No less than you would hope for a horse named Brethren. He was the next foal after Kentucky Derby winner (and $30k stallion) Super Saver (Maria’s Mon) delivered by Supercharger (A.P. Indy), herself sister to one Grade I winner and to the dam of another. This modern flowering of an old Phipps family potentially qualifies Brethren, an unbeaten 2-year-old who didn’t really go on after winning the Grade III Sam F Davis S., as one whose blood and looks together turn him into a good deal better stallion than he was a runner. A 13-length success in the GII Peter Pan S. could have been a flash in the pan, given the sloppy track that day, but Freedom Child has certainly made an auspicious start to his new career. He could not be in better hands to do so, of course: the same farm launched his remarkable sire, and is now knocking the ball out of the park with Friesian Fire (A.P. Indy) from the same line. Having sent his second crop into battle last year, Freedom Child had 18 winners from just 28 runners including two at black-type level. He has a page you could take anywhere in Kentucky, being out of a Deputy Minister daughter of Grade I winner City Band (Carson City)–whose full sister is the granddam of champion juvenile Shanghai Bobby (Harlan’s Holiday). Though a May 18 foal, Freedom Child was able to command $350,000 at the big Saratoga sale–testament to his big, easy stride–and while he does have a couple of small books to ride out now, he deserves backing to do so. Here’s a young gun from the farm that brought you Great Notion (Elusive Quality)–a state champion who himself looks undiminished value, even as he turns 19, with eight of his 56 winners in 2018 scoring at black-type level. Whether Madefromlucky’s first foals, now hitting the ground, can propel him towards similar heights remains to be seen. But you have to say that many a Bluegrass farm would envy a millionaire out of an unraced full sister to none other than Tapit (Pulpit). Madefromlucky, from his perennially under-rated sire’s debut crop, held his form through four seasons as a dual Grade II winner at three who finished up winning a Grade III by a dozen lengths at five. Obviously his dam, as a sister to Tapit, shares the additional honour of being out of a half-sister to Rubiano. One way or the other, breeders will be turning up some pretty fertile soil here. It should scarcely be necessary to highlight the credentials of a stallion eclipsed only by the gold standard of Freud (Giant’s Causeway) in the state earnings table in 2018. But even the emergence of a chip off the old block in Diversify, who carried his speed to a second Grade I success in the Whitney S., has not prevented a clip to Bellamy Road’s fee from $6,000–a gesture, no doubt, towards a mysteriously myopic drop in his book from 63 to just 35 last year. Given that he has yet to gain a full foothold in the restricted program, that level of business woefully underplays the eminence he has achieved in open company. Diversify is one of no fewer than 31 black-type winners for Bellamy Road, the memory of whose epoch-making 17-length GI Wood Memorial success–earning an eye-watering 120 Beyer–was cruelly dimmed by the crash into which he launched his first foals. It must be granted that he had a challenging sire and damsire, but there is real class deeper in the family. End-users, certainly, must be pinching themselves that such an accomplished animal should be available at $5,000–just a quarter of the fee he commanded when moved to WinStar after producing a Grade I winner in his first crop. That first season at WinStar yielded another elite winner (GI La Brea S. scorer Constellation) plus a Kentucky Oaks runner-up and Diversify himself. A horse built as massively as Bellamy Road is bound to produce an occasional slow-burner of that ilk, but that only augurs well for all his intervening stock as it matures. Bottom line: is there a sire in the Empire State more eligible to produce a Derby horse? Heirs to City Zip have come to seem ever more precious since his loss and this one offers a very persuasive package, by regional standards, as a Grade I winner who was never headed in six starts. A seven-length debut scorer, he then reeled off three stakes for state-breds before graduating to win the GII General George S. and then the GI Carter H.
Bustin Stones will have a very small footprint of juveniles this year, but has moved his book back up to 40 mares in the last two years after seizing his limited early opportunities (doubling his fee in the process). No fewer than 123 of his 159 lifetime starters have won, seven at black-type level. He is built to sprint and exudes toughness, blue-collar qualities also evident in his stock. Here’s a horse rolling up his sleeves and getting the job done. He’s been evicted from Kentucky pretty hastily, his first runners in 2018 having acquitted themselves perfectly respectably. A dozen winners from 38 runners is on a par with several rivals being feted for a strong start, while only by Mucho Macho Man (Macho Uno) can match his two Graded stakes placings. Boujie Girl made the frame in both the GI Del Mar Debutante S. and GII Sorrento S., while Tripwire was beaten just half a length at Grade III level. In fairness, the Kentucky market is becoming pretty congested for young sons of Tapit, so it makes sense to try and relaunch him in a state program with bonuses to play for. Especially at a farm that can produce a left-field success like Uptowncharlybrown (Limehouse), whose startling early percentages doubled his book in 2018. In a brief but accomplished career, Flashback won the GII Robert B. Lewis S. by six lengths before chasing home Goldencents (Into Mischief) in the GI Santa Anita Derby. Those achievements are underpinned by a full-sister who won two Grade I races besides making the podium in the Kentucky Oaks, in Zazu. Their dam by Mr Greeley has also produced a smart juvenile in England, while the next two dams are by Pleasant Colony and Nijinsky, so there could be a wider turf angle than is generally associated with Tapit. Flashback is a striking animal, his coat dappled as though by silver leaves, and has covered 294 mares in three years since siring this debut crop. That’s quite a following wind for a young stallion set adrift so soon.